Hikaru Tamaki and Yoko Reikano Kimura are a happy couple. 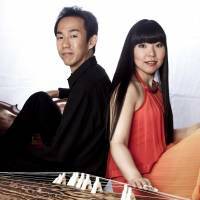 Not just in marriage but also as Duo Yumeno, a contemporary classical music duo that aims to tap the potential of combining Western and Japanese instruments. 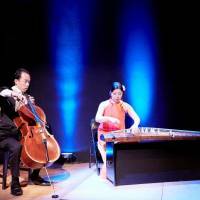 Tamaki is a cellist, while Kimura is a koto and shamisen performer, as well as a classical Japanese singer. They are based in New York, but hold concerts across the U.S., in Japan and in Europe. Born in Kyoto to a Japanese-American mother and a Japanese music teacher father, Tamaki decided to leave the country after high school to study music at Eastman School of Music as well as Rice and Northwestern universities, before eventually performing in several orchestras across the U.S.
Kimura, three years younger than Tamaki, was born in Saitama and began learning koto at 10 after having studied piano from the age of 4. “I went to a friend’s birthday party, and her grandmother played the koto for us. It was beautiful,” Kimura recalls. She convinced her parents to let her learn the traditional instrument in the Yamada style, and also studied shamisen and classical singing as part of her training. Later, she attended Tokyo University of Arts and the now-defunct NHK Professional Training School for Traditional Musicians. It was through her performances and teaching as a younger musician that she became interested in new compositions for traditional Japanese instruments. In 2008, Kimura was invited to collaborate with Japanese musicians at the Cherry Blossom Festival Fort Wayne in Indiana. Tamaki, who was serving as the principal cellist of the Fort Wayne Philharmonic, was introduced to Kimura. A year and a half after that first performance at the festival, the two got married, and kept working together. First in Indiana, then in New York after Tamaki stopped performing with the Fort Wayne Philharmonic. “There are places like that on the West Coast, but we knew people on the East Coast,” adds Tamaki. For the couple, basing themselves in Japan appeared less of an option, even though Tamaki says there are a lot of groups with similar instrumentation. 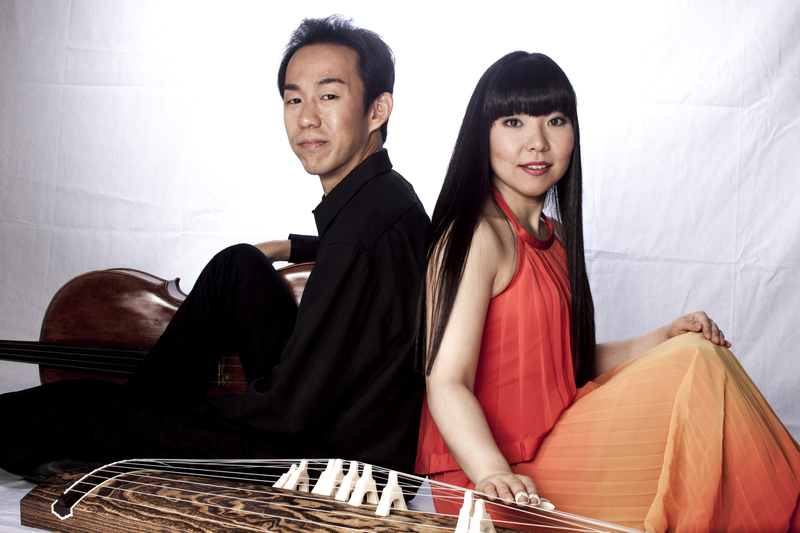 “It would be nice if there were more groups like us,” Kimura adds, commenting that the duo hopes that through their performances, traditional Japanese instruments will become more widely used across a variety of genres — and not just in the U.S., where audiences may be more receptive to Japanese instruments played in new ways. “In New York, no matter what you do, whatever you try, people show up wanting to listen. They seem to say, ‘I’ll start by giving it a listen,'” says Kimura, going on to explain how in Japan, traditional Japanese music fans can be more hesitant to accept new forms of playing. Tamaki adds: “In Tokyo, there are so many different performances happening. People do listen to a lot of music.” But it’s the greater freedom of New York that keeps them from returning to live in Japan. 2008 — Tamaki and Kimura first perform as a duo at the Cherry Blossom Festival Fort Wayne in Indiana. 2009 — Duo Yumeno is founded. 2015 — Duo Yumeno receives Aoyama Baroque Saal Award in Kyoto. 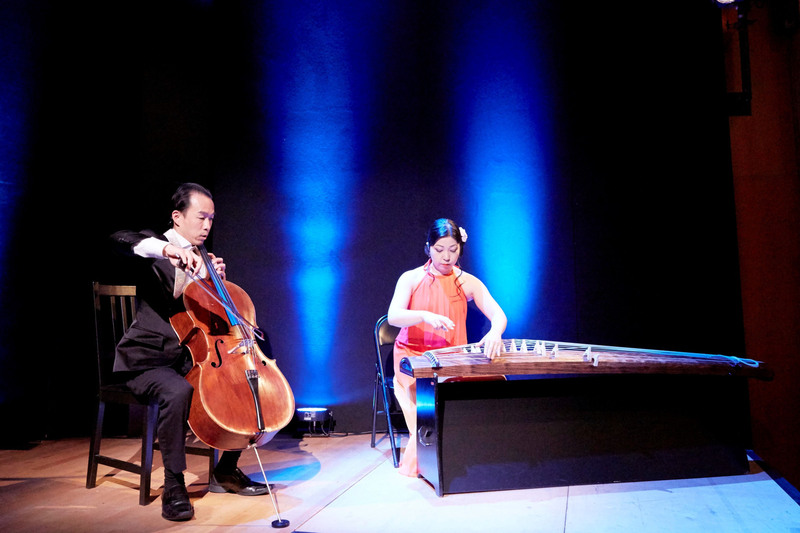 2016 — Duo Yumeno performs at the Chamber Music America’s National Conference in New York. 2017 — Duo Yumeno perform at the John F. Kennedy Center for The Performing Arts for the National Cherry Blossom Festival.